High blood pressure, or hypertension, is known as the silent killer. Living a healthy lifestyle that controls blood pressure is the first defense against the risks of hypertension. Take control of your high blood pressure by consulting with Dr. Jeremy Luckett and his team at Vineyard Primary Care in Owensboro, Kentucky. Call for your appointment today to get your high blood pressure in check and keep it in check. "Highly recommend Dr. Luckett and his excellent staff for all your healthcare needs!" "Best Doctor/Nurse combo in the Tri-State area." "Always friendly and love the staff. They make you feel at ease." "Best doctor I have ever been to hands down!!" "Excellent doctor... I was referred to him 3 years ago and he has been wonderful." "They make you feel comfortable and are very professional." What happens when you have high blood pressure? When you have high blood pressure, your heart is working too hard at pushing your blood through your body. This can damage your circulatory system closest to the heart by increasing pressure on them. It can also damage the part of your circulatory system furthest from your heart as blood circulation may not as strong as the muscles in your extremities need it to be. Why is high blood pressure bad for you? The tiny tears that this causes in your vessels is where bad cholesterol (LDL), can begin to form plaque. The bad cholesterol and the high blood pressure work side by side, continuing to damage the vessels and build up plaque, further obstructing your vessels. As this continues, the vessels become narrower due to blood not being able to flow through the built up plaque. The less blood that can flow through your body, the less oxygen your heart and other organs get to do the work they need to do. This restrictive blood flow is how high blood pressure causes all of the problems that it does. How can I keep my blood pressure in a healthy range? 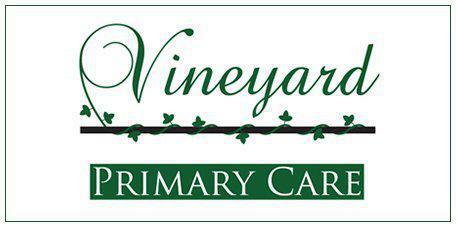 The best way to come up with a proper treatment plan to make sure you see the results you want is by consulting with the team at Vineyard Primary Care. He will provide you with all of the tools you need given your medical history and numbers to get you back on track. He even provides in-house EKGs and Holter Monitoring devices so you can stay on top of your current heart health and the progress that you’ve made. If your heart is already healthy, they will give you all of the preventative tools that you need to make sure it stays that way. Controlling your blood pressure is one of the most important things that you can do, since heart disease is one of the leading causes of death in the United States. Call today and make your appointment and start taking control of your high blood pressure. "Very timely and caring! Dr. Luckett went above and beyond to make sure my needs were met. I would highly recommend to friends and family!" "They are amazing! They treat patients with the utmost respect and make your experience a great one even when you don't feel well!" "Great doctor... I struggled for 20 years to find a primary care doctor who really cared about his patients. I have found him and will recommend him to anyone." "I really love Dr. Luckett, Christina, and the rest of the staff. They are truly wonderful. They really do care about their patients." "Dr. Luckett is very knowledgeable and I have confidence in him. I believe he truly cares for his patients. He also has a caring staff."